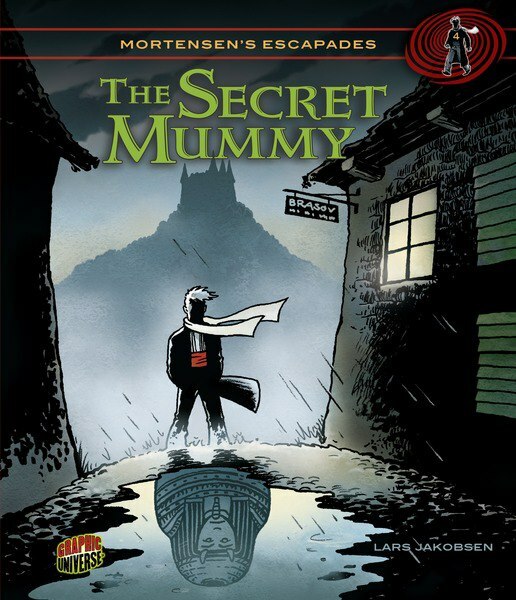 We are proud to announce that Graphic Universe’s dynamic writing and translating duo of Drs. Anne and Owen Smith will be signing copies of standout GU titles this December 8, 11:00am – 1:00pm, at the Barnes & Noble in the Baker Pattillo Student Center at Stephen F. Austin State University in Nacogdoches, Texas. 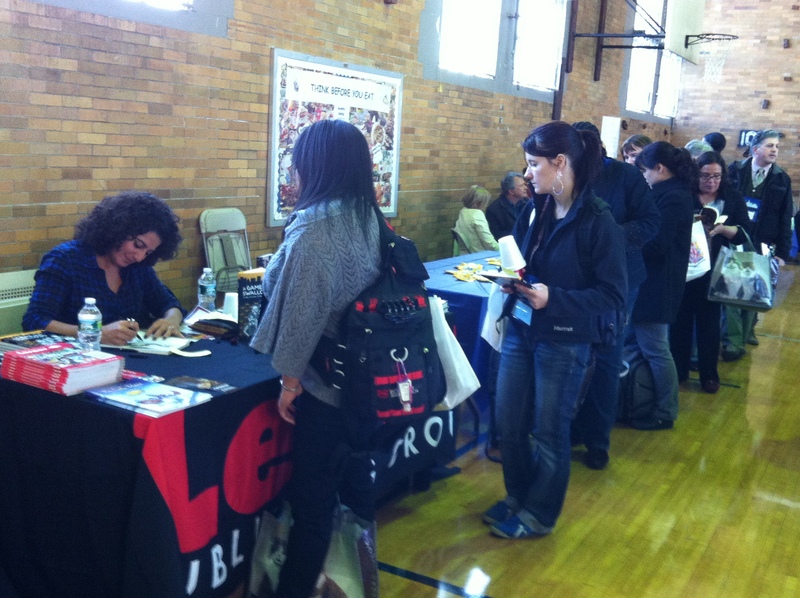 Graphic Universe and Lerner participated in a variety of events last week. 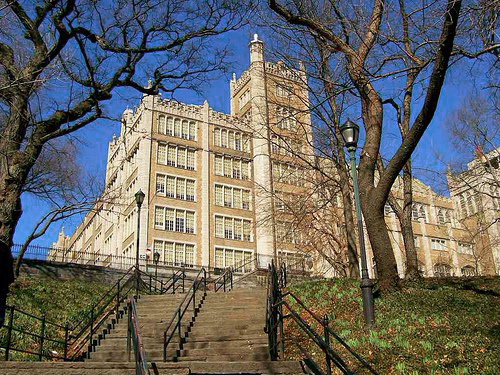 On Election Day, Tuesday, November 6th the NYC Department of Education 2012 Conference was held at A. Philip Randolph Campus High School at 135th Street in upper Manhattan—a gathering where teachers and librarians attend lectures, presentations and conferences. 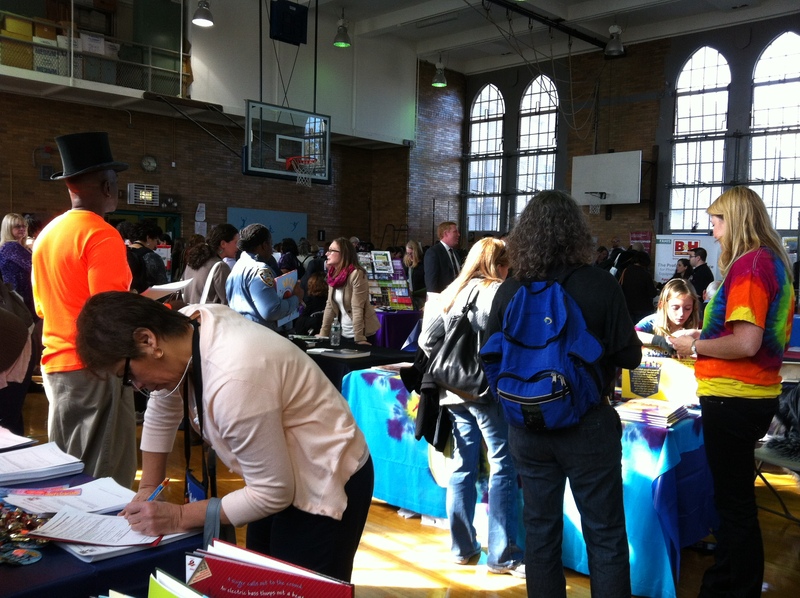 Educational Publishers like ours (and Rosen, Abdo, Holiday House) set up booths in the school’s gymnasium. 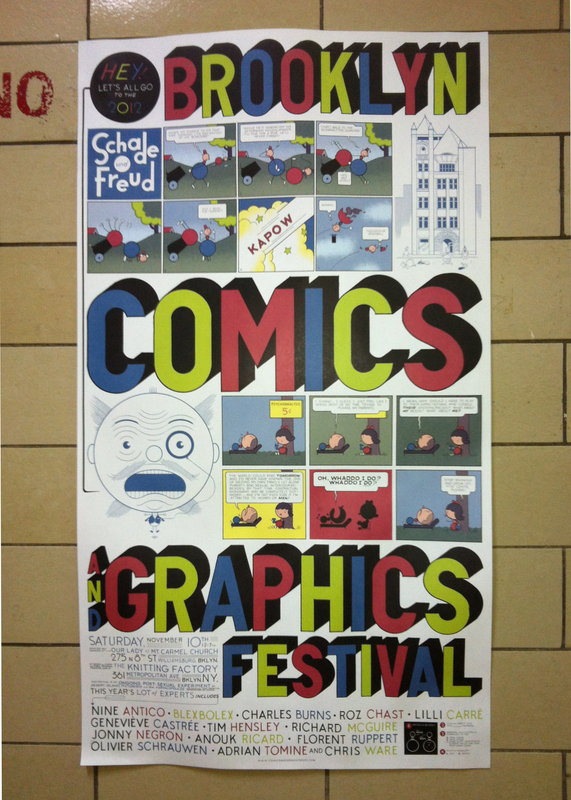 I presented our spring 2013 list in one of the classrooms. NYC Dept. of Education Fall Conference at A. Philip Randolph Campus High School on November 6th. 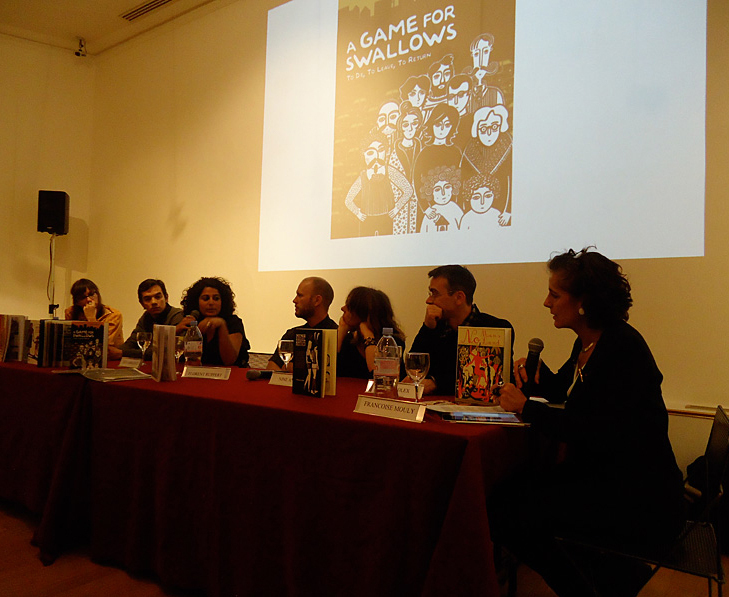 Coinciding with this event was Graphic Universe’s author-artist Zeina Abirached arrival in New York, following a conference she attended at the University of Cincinnati. 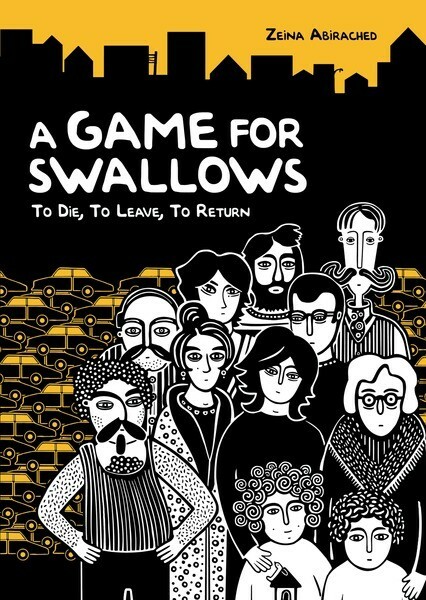 Zeina, with her agent Nicolas Grivel on hand, signed and illustrated her starred review book, A Game for Swallows, which drew an impressive number of attendees to our table. She participated in a variety of other activities during the week as well. 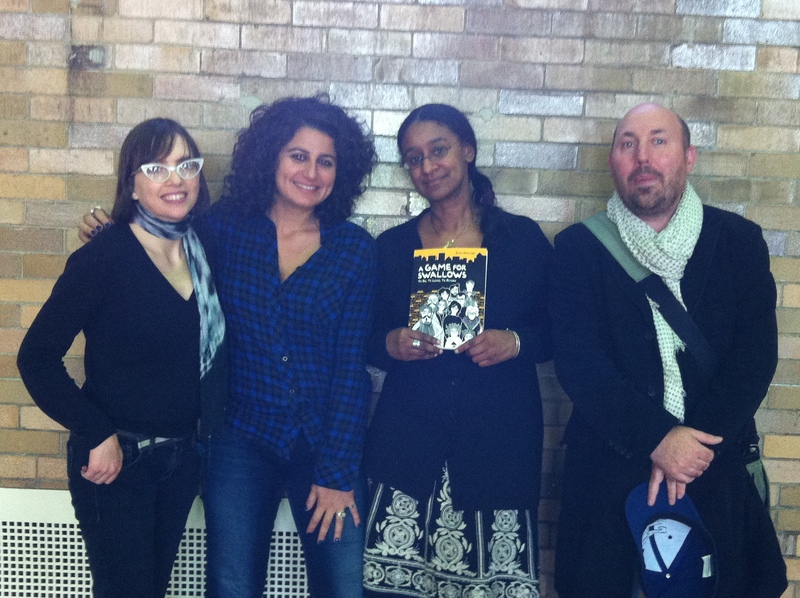 Zeina Abirached, author-artist of A Game for Swallows signing copies of her book (top); Graphic Universe Editorial Assistant Robyn Chapman, Ms. Abirached, Graphic Universe Editorial Director Carol Burrell, and Nicolas Grivel on hand at the NYC Dept. 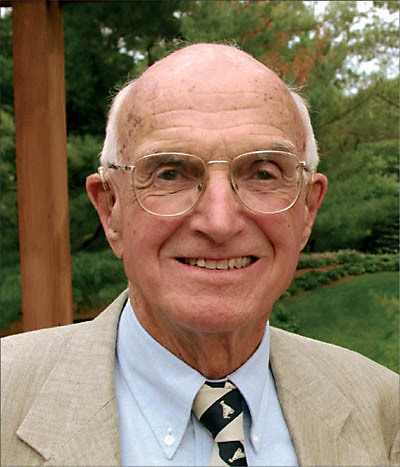 of Ed. Conference (bottom). On Thursday, November 8, she was invited to take part on a panel discussion in front of a large crowd at the Cultural Services of the French Embassy on Fifth Avenue. The event was moderated by Françoise Mouly, art editor of the The New Yorker. Six French Speaking comic artists were on hand to discuss their remarkable careers and field questions from the audience. In addition to Zeina, the participants included Nine Antico, Blexbolex, Anouk Ricard, Florent Ruppert, and Clément Baloup. The event was followed by a reception in the adjacent hall. It was a cool party in a grand historic building—the kind that looked as though it had been inhabited by a business tycoon from a previous century. 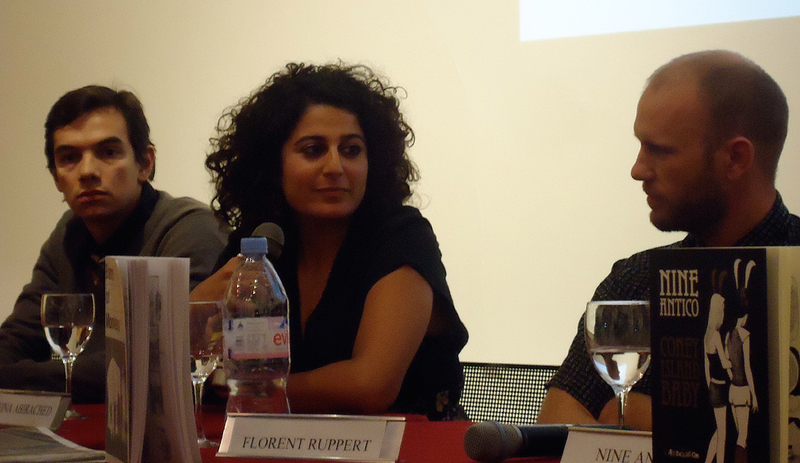 Zeina Abirached sitting on a panel at the Cultural Services of the French Embassy in Manhattan. 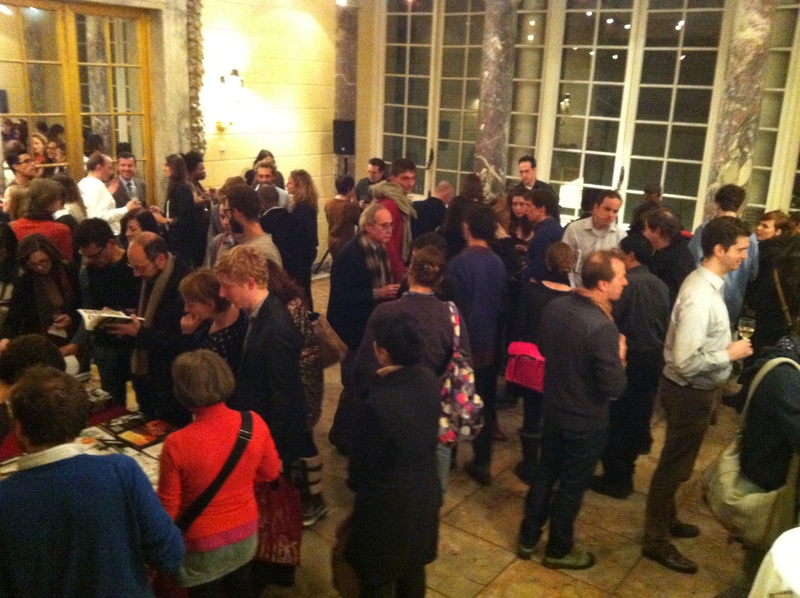 The French Comic Book Party at the Cultural Services of the French Embassy on November 8th. Then on Saturday, November 10th, Zeina was invited to sell and sign copies of her book at the jammed-packed Brooklyn Comics and Graphics Festival in Williamsburg. The festival’s organizer, Bill Kartalopoulos, was gracious to invite Zeina to present Swallows at his booth. Also, Graphic Universe Editorial Assistant Robyn Chapman was there to promote her new art instruction manual Drawing Comics Lab: 52 Exercises on Characters, Panels, Storytelling, Publishing & Professional Practices. All in all it was a production week, especially considering what just happened during Hurricane Sandy a week earlier. 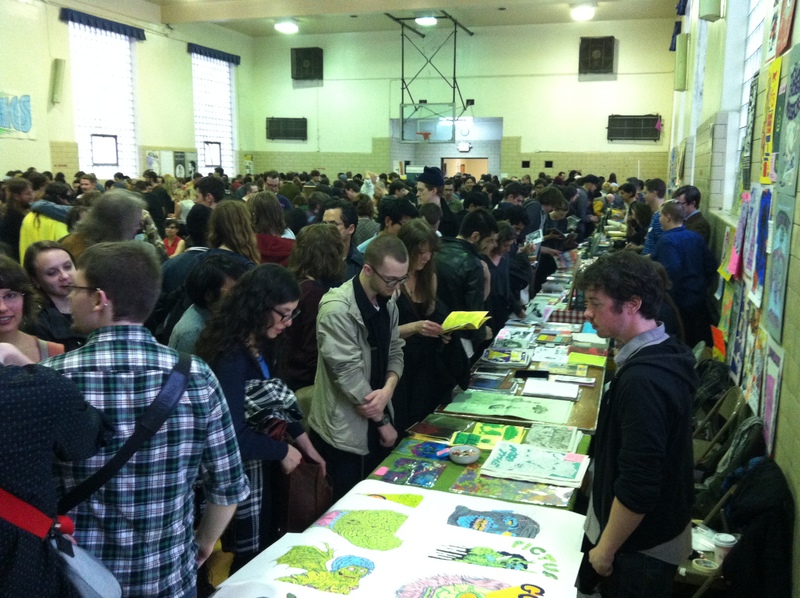 A large crowd at the Brooklyn Comics and Graphics Festival on November 10th.